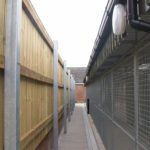 To obtain planning permission, design and build self contained military specification dog kennels to accommodate military dogs. The 4 projects across 2 M.o.D. establishments were started and completed over a 2 years period. 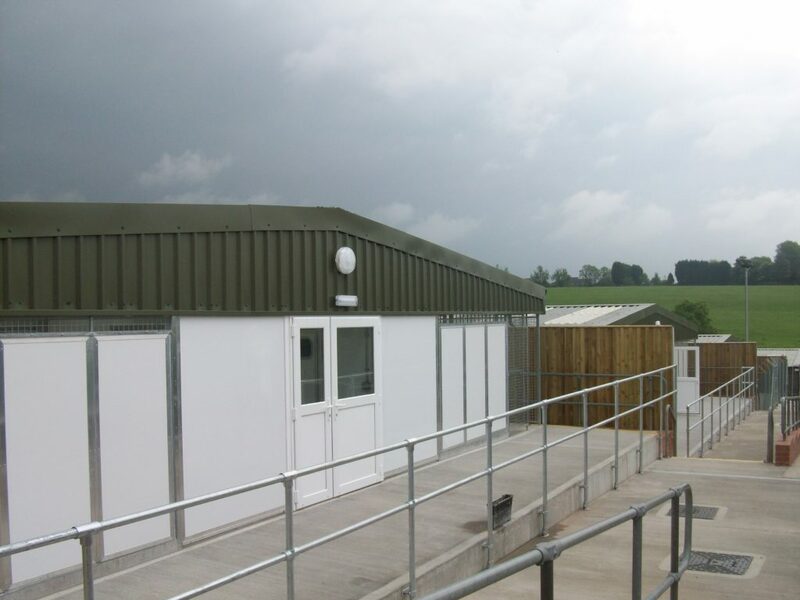 The kennels comprised concrete bases, various kennelling arrangements including food preparation and staff accommodation areas, drainage, wash down facilities and exercise areas. The works were conducted in a live military base environment. The sensitivity and security of the locations required existing comprehensive security procedures to be maintained and additional measures to be introduced. Carry out the works with minimal disturbance to the establishment users. The second project was divided across two separate locations approximately half a mile apart. 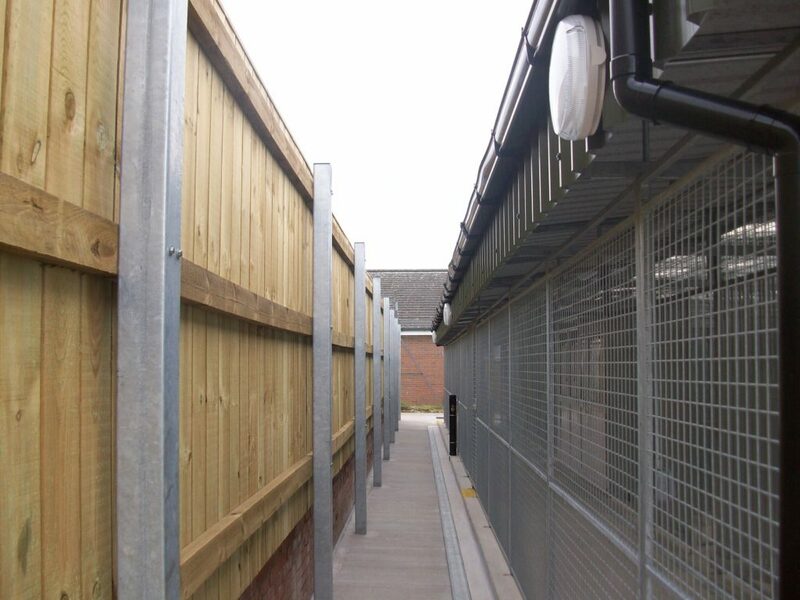 The works required specific and exacting Ministry of Defence and DEFRA requirements and regulations to be met. The 4th project was on an extremely confined site. Working in an open and collaborative manner enabled the successful completion of the first project on time and on budget, resulting in the negotiation of a further 3 contracts. Communication procedures were set with the site and design teams to ensure the effective resolution of any queries. To enable the project to progress without significant time scale impact. 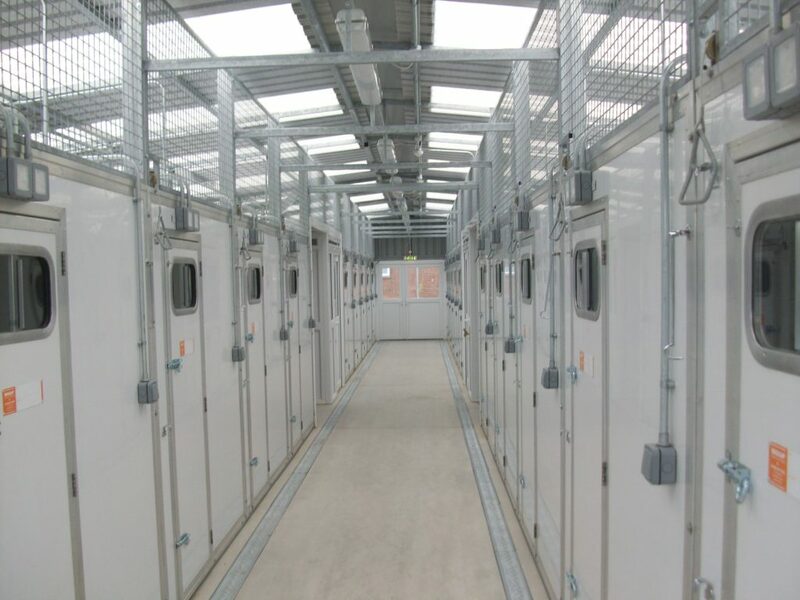 We worked with specialist suppliers to develop bespoke solutions to meet the specific requirements. 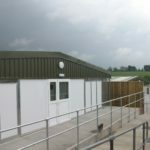 The same design and delivery team were maintained for all contracts this enables continuous improvements to be made to the design, function and suitability of each new facility. Careful management across the sites to minimise noise, dust and sound pollution. The site working arrangements allowed safe access by military personnel to the remainder of the establishment during the works. 100% of timber used on site was sourced from sustainable sources. We maintained exemplar health and safety performance, upholding our “Every One, Every Day, Home Safe” philosophy. The 4th project was located in a confined area and had several site constraints. We collaboratively worked with our supply chain and involved the client to successfully identify a solution that worked in terms of budget, time and meeting client requirements. A collaborative approach to health and safety ensured that specific client requirements could be met. Regular and frequent liaison with the units Officer Commanding. A key success factor and a principle reason for Babcock Dyncorp consistently choosing Robert Woodhead to deliver future kennel projects is our ability to learn and develop in collaboration with the client and users to ultimately design, build and hand over a more user friendly and value for money end product.